There are times when a DIY project is great fun, but then there are times when it is better to call a specialist. And your electrical installation is one of those times. Although it may seem easy to do when you look at it, the results may not be what you wanted. First and foremost, it is all about your safety. 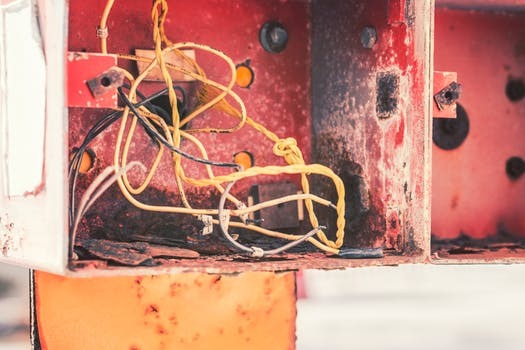 Electricity can be dangerous, and you are better off getting the trained electricians to get the job done safely. Avoid that ‘easy’ job turning into a Red to Red, White to White and “Blue” to pieces. Sometimes you may see your electrician test the wires he/she is going to work on, then test elsewhere where there is power before testing the same wires again. They are not simply trying to make the job take longer, this is part of their safety system. Test the instrument to prove it works, then test the item you isolated and, test the instrument again to make sure it works! Why don’t they just trust the switch? I worked on a small foundry many years ago and went through the testing procedure and locked the supply off. Once I opened the side panels on the machine, I noticed another cable entering the machine that went directly to a transformer. This set of the alarm bells for me as this looked like a supply cable which it turned out to be. Testing it proved that the cable was ‘live’ and it came from a different switchboard to the machine. There are obvious things that were not in place, (warning labels indicating there are multiple supplies etc.) but following a ‘test before you touch’ approach avoided a nasty surprise. Ready to get that next job done? Call your Electrical Contractor and get it done safely. If you need a Sparky to get your job done, call SparkyHelp!